With that out of the way, I’m free to do whatever I want with the subject. Today I decided to use a palette based on a print I bought about a year ago. 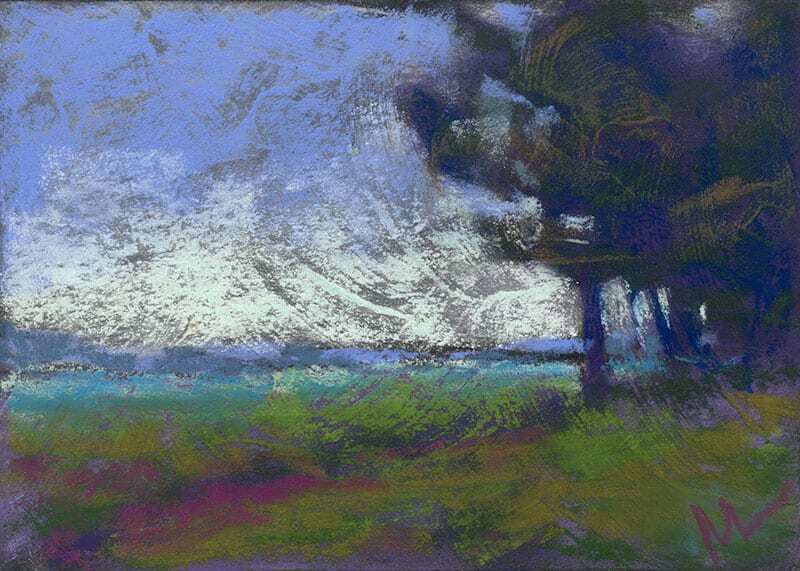 The print is of a beach scene done in bright, cheerful colors, which is what drew me to it, more than the subject matter. 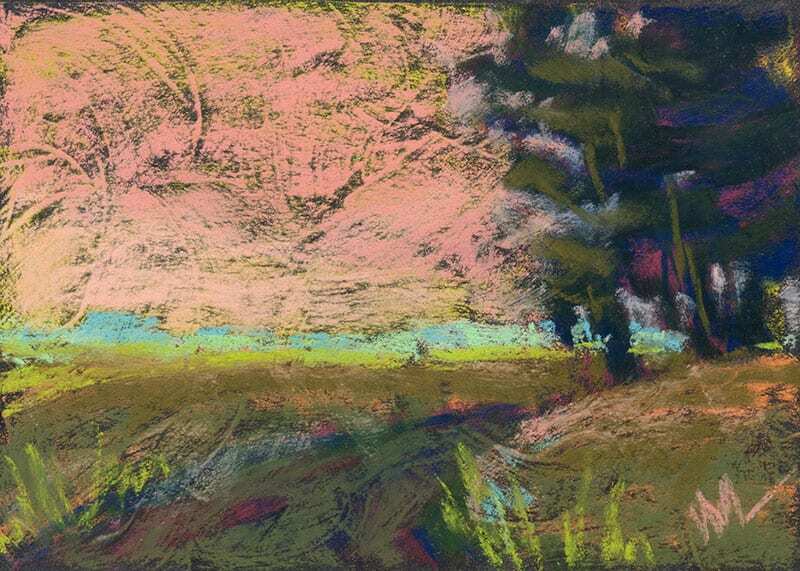 I liked the graceful swoops of the artist’s brush work, too, and that’s something that I can do with pastels, especially if I start with a board that I’ve brushed pumice onto, like this one. It also helps that I just got off the phone with my brother Joe, one of my favorite people in the whole world. 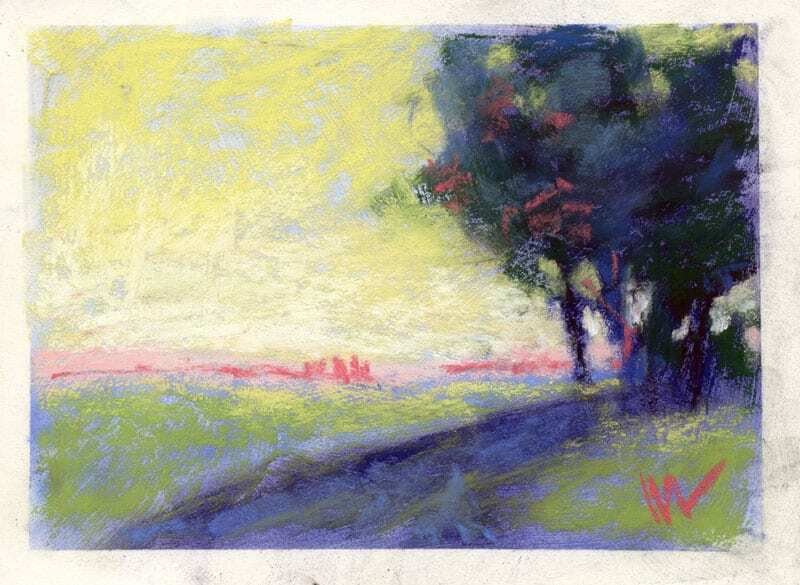 Because I’m Happy, 5×7″ pastel on gessoed Crescent board by Marie Marfia. $75, unframed. Contact me to purchase this painting. 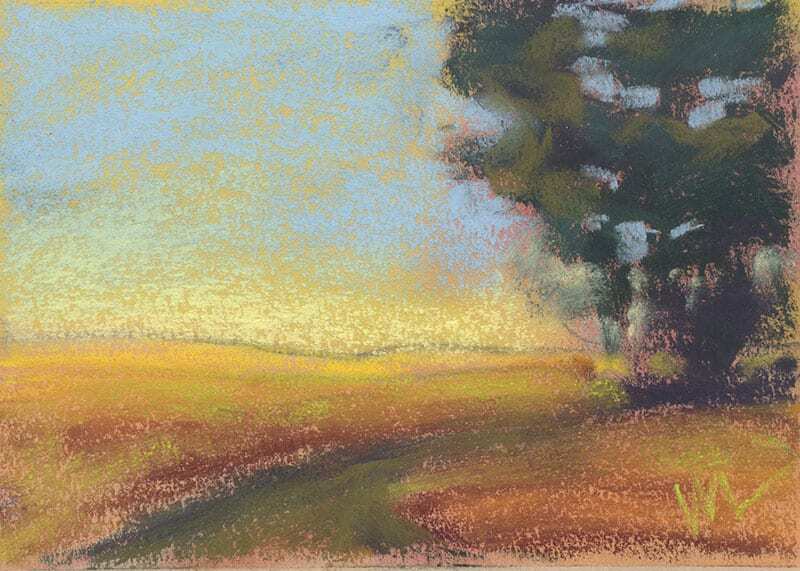 This entry was posted in A pastel a day, Emotional Landscapes, Landscape, painting a day, Pastels, Woods scape and tagged art, emotional, happy, landscape, painting a day, pastel, path, trees, woods on May 24, 2016 by Marie Marfia.